Every Australian city is built on the unceded country of distinct, sovereign Aboriginal and Torres Strait Islander peoples who continue to practice their laws, cultures, rights and interests under persistent regimes of settler-colonial power. Yet this fact has still not penetrated urban scholarship and practice in Australia. There has been remarkably little effort made to interrogate how this fact unsettles the categories, theories and knowledges used by urban geography and built environment disciplines to understand and practice the Australian city. Despite some key interventions in the field from a handful of scholars, there remains a profound silence in mainstream Australian urban geographical scholarship and practice on Indigenous rights and justice. The urban context is also a stubbornly difficult place for Aboriginal and Torres Strait Islander people to realise land justice. While nearly 80% of Indigenous people in Australia live in cities, less than 1% of the land base returned after decades of their struggle is in urban areas. The question of the urban context, then, for Indigenous land and cultural justice is both urgent and vital. Our purpose in this series of events was to bring these issues more sharply onto the agenda for radical urban geography in Australia and beyond. Building on recent efforts to bring critical analyses of urbanisation and settler colonial contexts together, the events contributed to efforts toward reconfiguring Australian urban scholarship and practice to properly attend to Indigenous land and cultural justice. We held a special panel session within the annual conference of the Institute of Australian Geographers (IAG) in July 2017 in Brisbane, Queensland. This lively discussion panel, “Practising paradox: Decolonising urban geographies from the settler-colonial University”, attracted around 20 participants and was led by Libby Porter and Tod Jones with special guest Yvonne Underhill-Sem. In September 2017, we held a two-day symposium in Perth, Western Australia. This attracted more than 60 delegates from around Australia and beyond, with around 50% Indigenous and 50% non-Indigenous participation and a mix of disciplinary backgrounds. The program included special guests Linda Kennedy and Oren Yiftachel. The event was co-designed between Indigenous and non-Indigenous organisers as a way to unsettle and challenge the conventions of knowing and sharing knowledge that tend to prevail in western scholarly contexts. The symposium began with a yarning circle, facilitated by Carol Dowling, a Nyoongar scholar and cultural knowledge holder of yarning circle methods. For three hours on the first morning, Carol held open a specially designed space for the open sharing of ourselves as participants in terms of who we are in relation to Indigenous sovereignties and laws, and our individual experiences of settler-colonial power relations. The program included papers on Aboriginal land rights, treaty negotiations, place-making and property, justice, urban design practices, education and pedagogy among other important themes. Many of the papers were joint presentations between Indigenous and non-Indigenous collaborators. One session involved around ten young people (aged 11-19) from the Kaat Koort n Hoops Peer Ambassador program in a panel session, facilitated by Cheryl Kickett-Tucker where they discussed what self-determination means to them in an urban context and some of the ways they are leading the future. Kaat Koort n Hoops honours the importance of education and the future aspirations upon wellbeing, academic outcomes and transitions. KKnH is an innovative community-led and sustainable program comprised of weekly wellbeing activities combined with weekly organized sport activities developed and delivered by Aboriginal young people (KKnH Peer Ambassadors). The purpose of this innovation is to provide real life, practical, leadership opportunities to Peer Ambassadors who will learn and teach young peers (KKnH participants) about holistic wellbeing (using organized sport as the vehicle). KKnH aims to provide Peer Ambassadors with a culturally empowering space to learn new skills, knowledge and confidence in a fun and relevant work environment so that they take a proactive approach to their life choices for the future and for today. As part of our outcomes, Peer Ambassadors partake in external, value add activities such as the Decolonising Settler Cities international symposium. Over three weeks leading up to the symposium, ten young Ambassadors (both Aboriginal and non-Aboriginal aged 12-23 years) worked independently and collectively to workshop their ideas of decolonization from their perspectives. At the symposium they led a young persons’ panel to present their ideas and take questions from the audience. They worked alongside KKnH Project Director, symposium co-convenor and working party member Cheryl Kickett-Tucker. We were led by Nyoongar Elder Noel Nannup on a walking tour to meet and know the country on which we were meeting through Nyoongar law and culture. We were able to film most of the symposium and have been able to create an archive shared among all the participants at this stage, as we work together on other negotiated outcomes that might be enabled by this archive. Organising these events has helped toward creating a movement within Australian urban geography and cognate built environment disciplines towards a decolonizing ethics and politics in the service of self-determining Indigenous justice. There is evidence that such a movement has emerged and is gaining some momentum. At the 2017 RGS-IBG conference, two of the organisers of these Antipode Foundation-funded events convened a special paper session based on the IAG panel discussion, focused on decolonising knowledges within universities. The session included papers from Indigenous and non-Indigenous scholars on the paradoxes and challenges of decolonial practice within Universities. The Urban Geography Study Group of the Institute of Australian Geographers commissioned Linda Kennedy to write a “Leading Insight” essay on decolonising urban practice. This achieves a widening of the voices heard in Australian urban geographical studies, in formats that refuse the forms of white knowledge-creation that we have sought to challenge. A number of postgraduate students are taking up these issues and organising their own events and discussions. We have also worked with Clare Land, author of Decolonising Solidarity, to develop a reading and action group based on her book to further develop decolonial practices of solidarity and scholarship. We encountered thankfully few major challenges or problems, but some of our intentions and program had to change to accommodate shifting conditions. A first challenge was that we were unable to host the one-day online forum originally planned. A number of conditions conspired to undermine this plan, perhaps the most significant being that as an organising team we were a little removed from the main organising committee of that event. It is likely to happen in 2018, and we can support the event and create the synergies originally planned. A second unfortunate change of plans occurred when Tony Birch was unable to join the Perth symposium at the last minute due to a serious illness in his family. While we missed Tony’s voice and had already paid some amounts for his travel which were not refundable, his withdrawal did not have a major effect on the outcomes we were able to achieve. Finally, practising decolonising ethics and philosophies within the organising of these efforts is a challenging undertaking. One of the most instructive dimensions of the work was where our intentions and practices came into conflict with the norms and expectations particularly of Western universities and also expectations and conventions within the scholarly community. We continue to reflect on these challenges and they will form part of our published outputs in the coming months. The 2018 NZGS-IAG conference will feature a special “Leading Insight” session sponsored by the Urban Geography Study Group on furthering the theme of decolonising urban knowledges, including published output forthcoming in Australian Geographer. We’re also planning a series of published outputs, including a co-authored article from the Perth symposium and a co-authored article from the RGS-IBG special session. A word used widely by Aboriginal and Torres Strait Islander people in Australia to denote their special relationship with their lands and waters. Country is a living, sentient being in itself, an interconnected web of people, environment and non-human species. 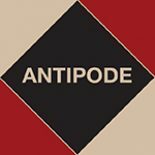 Decolonising Settler Cities is supported by an Antipode Foundation International Workshop Award. The award supports our pursuit in this symposium of knowing the city differently through conversation with Indigenous custodians, activists, scholars, elders and practitioners, and to use this as the basis for rethinking settler-colonial urbanism. Keynote speakers include Tony Birch, Linda Kennedy and Oren Yiftachel. There is still time to make a submission of interest to Decolonising Settler Cities. The call for participants closes on 1 June; please make a submission of 300 words to Tod Jones at Curtin University (T.Jones@curtin.edu.au) or Libby Porter at RMIT University (libby.porter@rmit.edu.au). More information is available on our website here. Please join us in seeking an agenda for establishing decolonising practices in Australian cities. We acknowledge and thank the Wadjuk Noongar people on whose territory Decolonising Settler Cities will be held. This symposium is hosted by Curtin University’s Translational Research Centre for Aboriginal Knowledges, the Centre for Aboriginal Studies, and the School of Built Environment in collaboration with the Centre for Urban Research, RMIT University. We acknowledge support and funds from the Institute of Australian Geographers.